Sometimes when moving abroad or relocating offices or houses, storage of belongings may cause problems because you can't bring them all abroad or there is a lack in space. A professional storage services will give you solution and peace of mind knowing that your properties are safe. 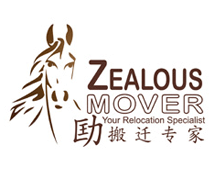 As a one-stop moving services company, Zealous Mover provides both short term and long term storage solutions to meet your interim moving needs. Our storage facilities can cater a wide range of storing services. Our warehouse and storage options for personal, household and commercial belonging are flexible to meet your unique demands. We maintain secure warehouses across Singapore to ensure that we meet your high standards for your belongings' safety. Your furnishings and personal items will be wrapped, bubble-packed and protected in our storage facility. We are equipped with a system that is clean and secured to protect and maintain good condition of your properties. Our containers are clearly marked which makes identification and retrieval of consignment or items simple and easy. Unwanted items such as furniture, malfunctioning electrical appliances, office equipment, and bulky items are often discarded during a move. Part of Zealous Movers' moving services is the provision of disposal services that will assist you in the removal of these unwanted items. Our Disposal Service is composed of a team of movers who will properly pack the things to be disposed before loading them into the disposal vehicle for transporting to designated disposal sites. If you are interested on our storage and disposal service solutions, fill out our online quote form for a free estimate.